Confession time! I may have mentioned this before, but the first stories I ever wrote were Sailor Moon fanfiction. I’m not even ashamed, because Sailor Moon is awesome. Fanfiction is great because it gives you a chance to learn the writing ropes without having to build the foundation yourself. Certain series lend themselves extremely well to fanfiction because they include a character template that makes inserting new characters into the world quick and easy. Sailor Moon is one of those. 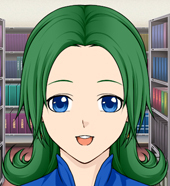 You pick a thing – planet, star, element, season, whatever – decide the colors associated with it, piece together your character’s uniform from your favorite elements in the show or manga and determine what their powers are based on the thing you chose (be it mythical goddess or time of year). Boom! You’re ready to write. In high school, my friends and I made whole teams of sailor scouts. We came up with names, uniforms and powers for them. One of my friends drew a lot of them. But we forgot about many of them before they ended up in stories. It’s an easy world to play with and there are lots of possibilities that fit the canon framework. Only two of my Sailor Moon fan characters are still around. The rest have faded into obscurity. The first is also the original, and the character from whom I draw my Internet handle (StarStriker -> shortened to Striker and eventually changed to StarbornStriker because it’s more often available). 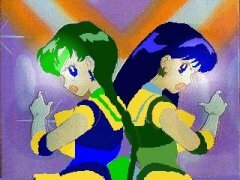 When I created Sailor StarStriker, and her sister Sailor StarLight, I chose as the object that defined them the stars. Eventually each became attuned to an element (not via narrative, I just thought it made them interesting). StarStriker ended up attuned to fire and StarLight to ice. Eventually this elemental nature grew beyond their powers; if StarStriker is exposed to extreme cold, it puts her life at risk. Vice versa, her sister is highly susceptible to heatwaves and spends most of the summer camped in front of an air conditioner. Like so many fanfics, I had a lot of lofty ideas for my little sailor soldiers, but most of them never made it to paper. Partly this was due to graduating high school and discovering the adult world left a lot less time for writing. Partly it was because the group with which I wrote these stories disbanded as we all transitioned into adulthood. And, at the last, I decided to use these characters for novels I could eventually publish and sell. The idea of making money off of fanfiction was completely alien back then; we just considered ourselves lucky the copyright owners didn’t come after us for our passion projects. A small group of us started re-designing our Sailor Moon characters, though we didn’t stray too far from the magical girl theme. These days StarStriker, or ‘Zita’ which is her ‘human’ name, exists in a state of flux. I’m not sure the eventual form her world and story are going to take, though I do know some of the events and many of the themes I want it to cover. Her story may turn out to be tangentially related to a project I recently started. But by the time I actually write it, who knows if that will be the case. What I do know is that Zita comes from the stars. She is a scholar and historian. Her job has long been to observe the Earth from afar and record its history. But at some point, something happened to her empire in the stars. Something important got lost on Earth and, as its historical guardian, it became her task to locate and protect it. Shedding her role as observer, Zita began to experience the very history she was meant to collect. More than that, the power which allowed her to travel between places only functioned in the short-term, meaning it has long since worn off. Zita is trapped on Earth, performing her duties to the best of her ability. Guarding the important thing in hopes that it will one day revive the empire she was forced to abandon. 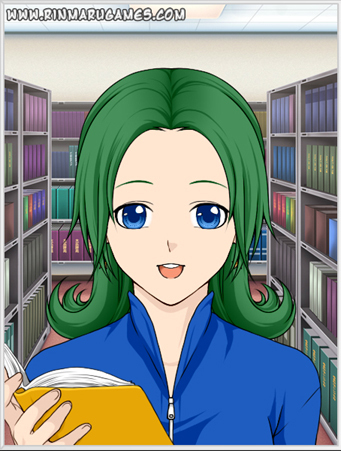 Noting the world’s history as it progresses in hopes she might one day return to her libraries. And praying all the while that she and her sister aren’t really the last of their kind. Do you have any old fanfic characters hanging around? Do you still write fanfic with them or have you transferred them to worlds of your own?